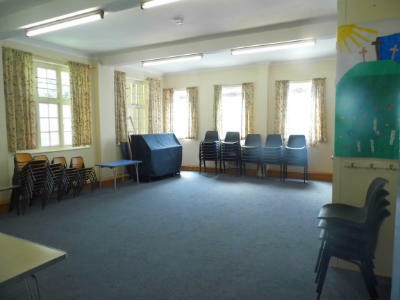 The Primary Room is carpeted. It offers an upright piano, tables & chairs for both adults and children (child scale). There is a service hatch through to a shared’ kitchen. There is NO alcohol policy.